The world-wide smart wearable device market is projected to grow to US $53 Billion by the end of next year, according to Juniper Research. 2-Dooz Inc. expects that this explosive growth will, in part, be fueled by the emergence of a vastly more Emotive Internet. Though today’s Internet is a lot more social than it was even 10 years ago, it still remains emotionally challenged. The use of emoticons and emoji in messaging helps, but Internet communications has largely remained more android than human. Even vastly higher resolution video conferencing has failed to improve the situation. The Internet, quite simply, hampers the expression of subtle emotion. Fortunately, all of this is changing. The Emotive Internet, comprising sensor technology and computer based algorithms to enable the real time detection, recognition and sharing of human emotion, is here. Though still in the early stages, technology assisted emotion detection is already going full circle; from today’s superfast computers, which tease moods from images and speech, back to yesterday’s best known, original emotion sensor of them all—the mood stone. The mood stone in its most popular setting, the mood ring, was more than a 1970s fashion statement. In addition to being a cultural phenomenon, it turns out that there is a sound scientific foundation underlying how mood stones work. Changes in body temperature, including in the peripheral, really do follow changes in one’s mood. We’ve all had the experience of cold hands when we were nervous and the sensation of warmth all over when we were happy. Studies, including a recent comprehensive analysis performed by Finnish Researchers, corroborate our intuitive understanding that changes in body temperature track changes in mood. Emotion detection via facial recognition and speech recognition provides improved advertising and customer support solutions. MarketsandMarkets predicts that the overall emotion detection and recognition technology market will grow to US $22.65 Billion by 2020. Large technology companies are already seizing the opportunity. 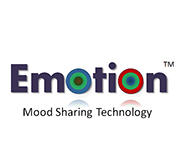 Apple Inc.’s acquisition of Emotient Inc.—a company specializing in the analysis of facial expressions to identify people’s moods—in January of this year is a prime example. Though they are important components, emotion detection and recognition are insufficient in themselves to realize the Emotive Internet. As previously discussed in this article, emotion sharing, a critical component of the Emotive Internet, is a largely missing piece. Fortunately, 2-Dooz is helping to fill the void with its Emotion Mood Sharing Technology™—a pioneering implementation of a mood sensing sharing system and device per US Patent No. 9064390, June 23, 2015. Moreover, 2-Dooz is incubating Emotion Mood Sensing Jewelry; a new, category defining family of wearable devices which combine the iconic mood stone with today's wireless and sensor technology. Placed in the setting of all types of jewelry, including rings, bracelets, earrings, pendants, etc., Emotion Mood Sensing Technology (EMST) enables mood stone color sharing; allowing a wearer's emotional state to be conveyed over a communications network such as the Internet via a new ecosystem of emotive apps that are responsive to mood data being generated by the wearer’s mood stone. EMST third party apps are expected to include mobile games, which adjust in difficulty based on the emotional state of a player, and dating apps, which indicate whether or not a potential connection is in the mood for a hookup. 2-Dooz’s Emotion Sensing Technology is well positioned to enable the Emotive Internet. Future Strategy Talk articles will track the rollout and uptake of this new, category defining wearable device solution.